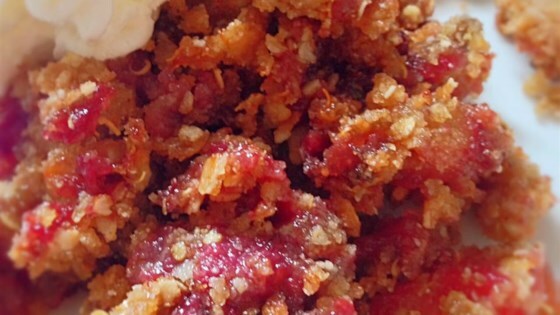 "A yummy gluten-free family favorite. Company prefer this adaptation to the regular crisp. Other fruits could easily be substituted for the apples." Combine apples, 1/4 cup rice flour, white sugar, and cinnamon in a bowl; transfer to an 8-inch baking dish. Mix brown sugar, butter, 1/2 cup rice flour, quinoa flakes, and rice flakes in the same bowl used for apple mixture. Sprinkle crumble topping over apple mixture and pat down gently. Bake in the preheated oven until apples are tender and topping is slightly browned, 35 minutes. Very good and was loved by person needing gluten free, she had seconds. A tip I learned was to make with a variety of apples.